Dickiebow Films is the perfect destination for brides looking for one of the top 10 wedding videographers in Paris. Dickiebow Films brings both personalisation and a wealth of experience to a more distinguished cinematic wedding film. Dickiebow Films owner, Paul Liddement has been featured in magazines, television and many blogs around the world for his masterfully created wedding work. 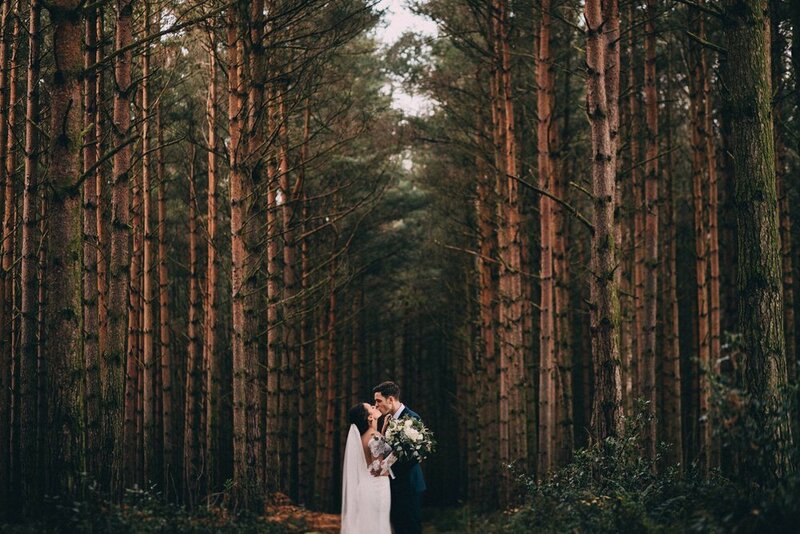 Paul is recommended by many of the very best wedding venues the region has to offer, as his relaxed storytelling style approach just works as a tried and trusted wedding supplier..
Olivia + Matthew, Le Petit Chateau wedding. A stylish and fun packed wedding that was energetic but sophisticated throughout. A very relaxed and smart couple, who kept everything calm and collected whilst keeping the electricity flowing throughout the day. This wedding story was full of laughs and enjoyment throughout and the few moments there were where Olivia and Matthew had some time away, the moments they had lasted a lifetime. Le Petit Chateau was the perfect setting for this lovely day. The videography captured this day very well. Videography is more than just a recording of the day, it is an investment into a vision that you are going to want to look at time and time again. It is an investment for the short term celebrations as well as for the long term legacy that you will hold onto forever. Short term, you will all want to celebrate after the wedding, the good times, the memories and the moments that you had. Some of my wedding stories have been published in magazines which is fantastic for the couple, family and friends to enjoy and share together. All of your family will join you in the reminiscence of your day and continue to support your celebrations long afterwards. Your wedding film is also an investment long term. As you creep towards your twilight years you will look back more and more with fond memories and start to appreciate more and more just how stunning you both looked. Your facial expressions, your personalities, your body language, will seem so different that you will turn to your partner and say that you were glad you had your unique wedding story told. The most glaring point that needs to be made here is that the videography on the day is completely unobtrusive. I use 2x £3500 silent shutter photography cameras, and I only use them during moments so the rest of the time I look like a guest. No huge bags and shoulder straps and other things that scream videographer. Just minimal and appearing as one of the guests. I take light clips with my cameras appearing once in a while no different to your guests taking the odd video with their phone as you walk down the isle. Being an ex-teacher I can understand individuals needs and boundaries better than a regular videographer of any position or price point, it is the experience factor that no one can see in a portfolio. The bottom line is, I know how to fit in comfortably into your day. I have also been a wedding photography specialist for 5 years, so I can do everything that little bit more awesome. I taught video for years and and I do offer cinematic films solitarily. I have a separate designated website for that, so please ask if you are just looking for cinematic film. However if you are looking for videography please have a look at my work below first. 95% of videographers tend to be tacky and awkward on the day. Cinematic filmmakers tend to be thoughtful and comfortable to work with on the day. I have a bank of trusted suppliers from around the world who I regularly talk to and have worked with, who I can whole heartedly recommend. Exclusive for all of our International Clients. There is 1 price for full day coverage including the evening after the first dance. This also includes a context meeting and a reconnaissance of the venue. Additional location and travel footage is also required for the destination part of the story. You receive 1 x 3+ minute trailer and 1 x 45+ minute film, our trailers are given our signature stylistic and cinematic editing treatment. A First glance pre-wedding video shoot is also included. All travel & Accomodation included. Please get in touch for further information. VIP WEEKLY DOCUMENTATION VIDEO - £15000. Exclusive for all of our VIP Clients. There is 1 price for 5 days of coverage. This also includes a context meeting and a reconnaissance of the venue. Additional location and travel footage is also required for the destination part of the story. You receive 1 x 3+ minute trailer and 1 x 45+ minute film, our trailers are given our signature stylistic and cinematic editing treatment.A First glance pre-wedding video shoot is also included. All travel & Accomodation included. Discretion and safeguarding encoding. Please get in touch for further information.